I think this guy has had one too many party nights. Really, what more do you want? 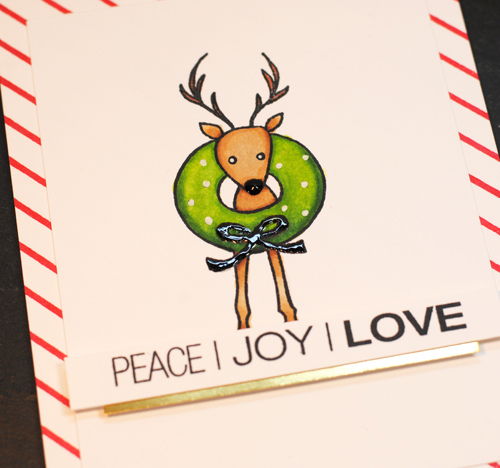 Cute deer, wreath, candy cane stripes, awesome sentiment.....Ranger's Glossy Accents, Copics, White Gel Pen, Gold, Wink of Stella glitter antleers... 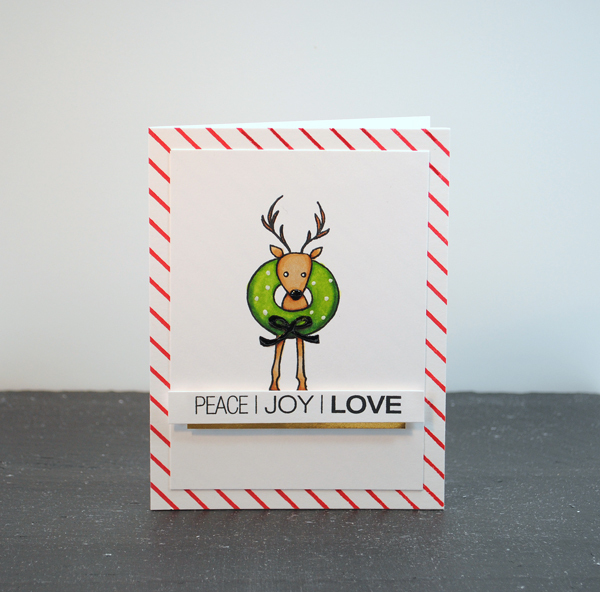 I've thrown the kitchen sink into this card, trying to keep it fresh and not too crowded. HUSBAND'S COMMENT = "Oh, I like that card." Whew. I love it! He kind of does have a deer in the headlights look... or one of too much partying. Great crisp card. You couldn't want anything more! He is perfectly adorable!! One too many party nights! I love it. That comment made me immediately suspect that this reindeer has a new tattoo that he will doubtless instantly regret, out of sight, behind the wreath.